Vishnu Dutt Shastriji is Babaji's High Priest. 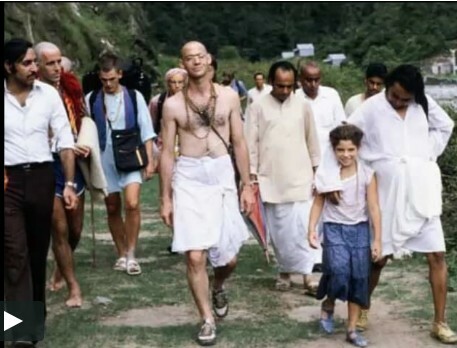 Babaji often called him "the purest man on this earth." Babaji often kept Shastriji very close to Him, even having him sleep on the floor of His (Babaji's) room many times when He was in Haidakhan. 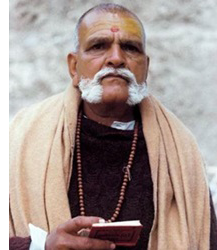 Shastriji said of himself that he "followed Babaji like a shadow," accompanying Him on His many journeys through India in his function as chief priest, celebrating the ancient Vedic ritual of the Yajna-, fire ceremony, in hundreds of places. Shri Shastriji is a prolific writer, Sanskrit scholar of repute and was one of Shri Mahendra Baba Maharaj's closest disciples, who already two decades earlier had prophesied Babaji's incarnation as the Lord of Lords and world-teacher. During his discipleship with Mahendra Baba, Shastriji had received a profound preparation to recognize and serve the Lord in his thirteen-year sojourn on earth. In fact, he had written most of his works in mantric verse on Haidakahan Baba many years before His physical appearance in 1970. When asked, Shastriji emphasizes that whatever he has written was "by the grace of my master and by the direct inspiration of the Lord himself ... I am merely a writing instrument." 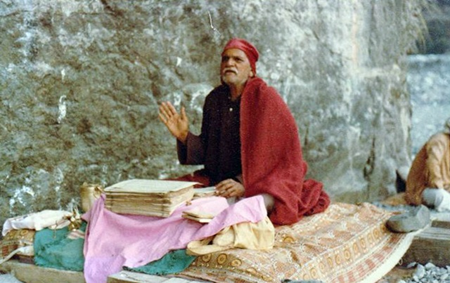 Whenever Babaji gave His short, informal talks at His ashram in Haidakhan, at the Himalayan foothills, Shastriji would be asked by Him to repeat His every word, before they were translated into English, Shastriji was the mouth-piece of Him (Babaji), whose coming he had helped to prepare with his writings; and when He had come, Shastriji was the one who put across through the spoken word to the many thousands who came, the timeless wisdom of the Sanatan Dharma. Shastriji was born in March, 1908, and he resided in Rajgarh, a small town in the Alwar District of Rajasthan, in India. To visit his home is to visit a very special and holy place, in a setting that feels like living in a fairy tale. I have had the privilege to visit Shastriji in his home, even to sleep there in the same bed that Shri Babaji and Shri Mahendra Maharaj slept in when they would visit Shastriji. It is such a warm and loving atmosphere to stay in the home of one who is a perfect example of selfless giving and service. 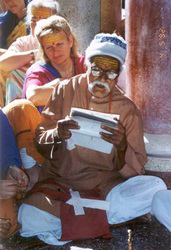 Shastriji has a prayer book in his hand all day, and while he takes care of the daily duties and guests, he is constantly reciting prayers. He received this piece of property from the Maharaja of the area after he gave a very eloquent speech. The Maharaja was so moved by Shastriji's eloquence, he gave this as his gift. Babaji also stated at one time that it was Shri Shastriji who had written the Mahabharata and the Ramayana, as well as other Vedic scriptures in other lifetimes. 25 December, 1981- "Shastriji Speaking for Babaji ..." (The Teachings of Babaji is a free download from our downloads page - CLICK HERE to download a copy in English or Spanish). 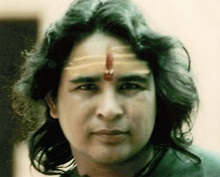 5 May 1982 - "a speech given at a wedding in Haidakhan ..." (The Teachings of Babaji is a free download from our downloads page - CLICK HERE to download a copy in English or Spanish). Shri Vishnu Dutt Shastri passed away on Nov. 17, 2003. Each of us who met him carry a piece of his loving wisdom. What a kind, gentle and knowledgeable Soul!